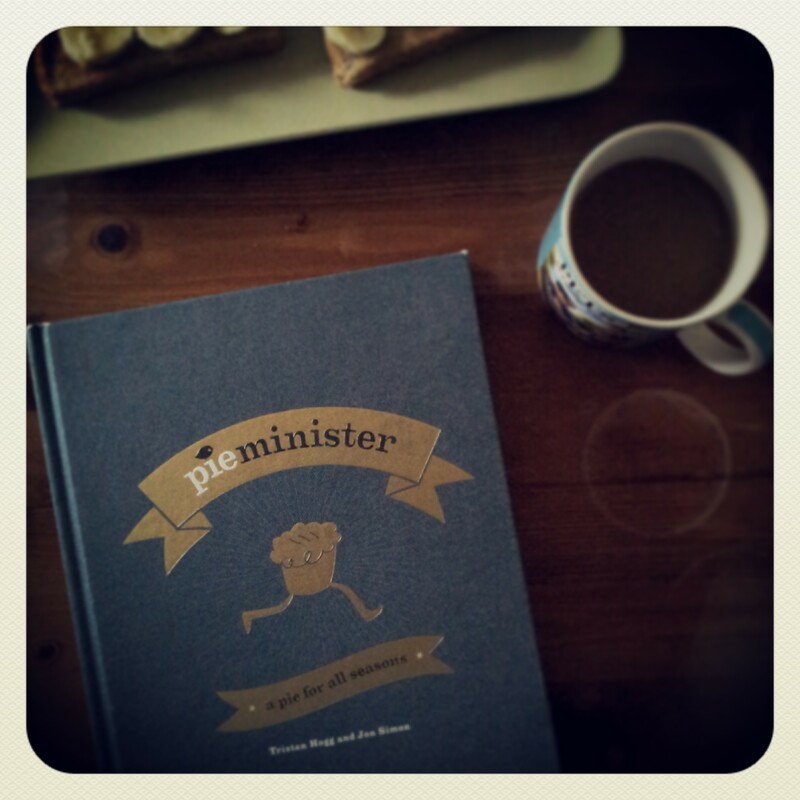 This weekend’s cookbook review is Pieminister – a pie for all seasons by Tristan Hogg and Jon Simon. Lovely book with a nice simple graphic cover, the intro tells you how Tristan and Jon met, where the pie concept came from and their journey to success. The book is full of photos, not just of food but also Tristan and John, their friends and family, people making pies, eating pies, pies on location… lovely, I love photos and books which tell a story and set a scene. I particularly like the double spread in the summer chapter set at a festival. The photos have a really fun friendly feel about them, shot by James Bowden, Lincoln Jefferson (also the food stylist for the book) and Caroline Vail. I personally love pie photography, the rustic look is definitely my favourite type of food photography. A great book.